Especially in the Corrugated Packaging arena, many glue applicators use the nozzle bars for glue applications. Keystone can assist in saving you money by providing rebuilt nozzle bars. We can rebuild yours or provide a rebuilt one for the exchange of your old one. Call for pricing on your specific L, T or Y bar dimensions. 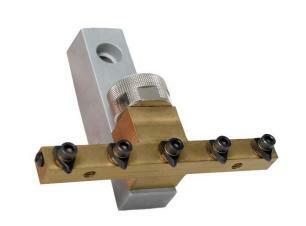 We also manufacture the nozzles for the Nordson and Slautterback nozzle bars.